As you know about the new freelancer biding strategy. You may penalized and frozen if your bidding score 75 or below. Here we have best freelancer bidding proposals for you. You cam use these best proposals while you sending proposals. 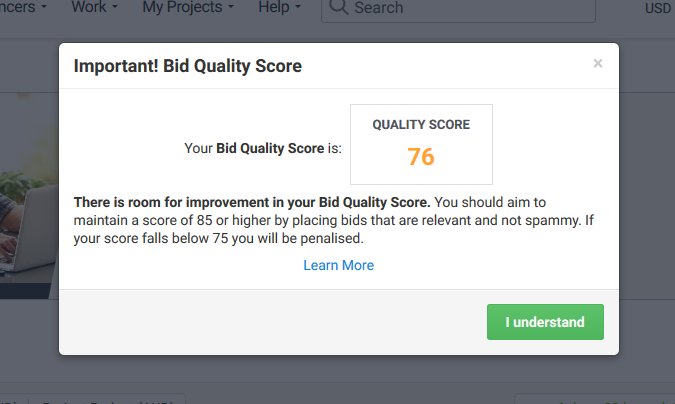 You should aim to maintain a score of 85 or higher by placing bids that are relevant and not most spammy. If your score falls below 75 you will be penalized. Include 25+ Best Freelancer Bidding Proposals. Deliver .doc file as payment completed. We will deliver 25+ Best Freelancer Bidding Proposals. Deliver .doc file as payment completed.